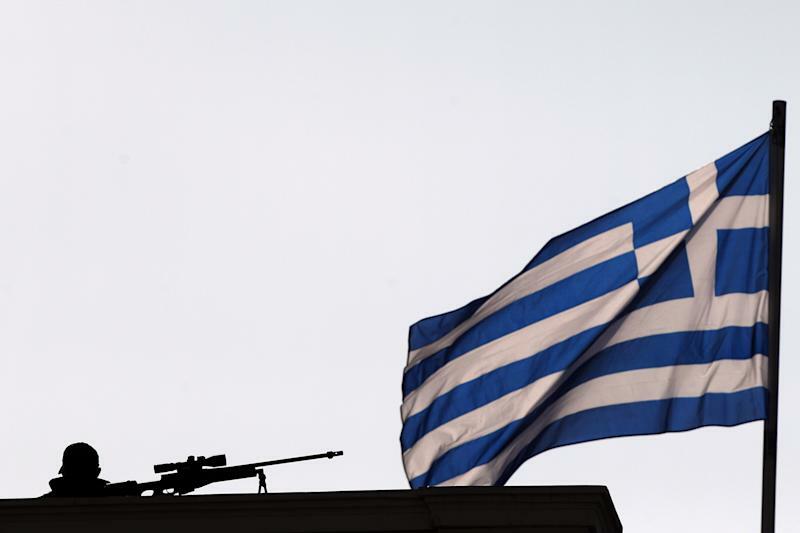 ATHENS, Greece (AP) — Greece will tap bond markets in the next three months for the first time since it needed international rescue loans in 2010, the finance minister said Tuesday, hours after fellow eurozone countries agreed to release more bailout funds. Greece has been locked out of the international bond market by high interest rates for the past four years after acknowledging in 2009 that some of its financial data had been falsified. Since 2010, the government has relied on the rescue loans and had to impose strict austerity measures to keep them coming. Greece last issued long-term debt in April 2010 — a seven-year bond that had a 6 percent yield. Its 10-year bonds later became unaffordable, with investors asking for 30 percent interest. That rate has since fallen, however, to about 6.5 percent. Finance Minister Yannis Stournaras said Greece would now proceed with "a small issuance of bonds, three or five-year bonds, in the first semester of 2014." He refused to say what size the bond issuance would be or specify a date. 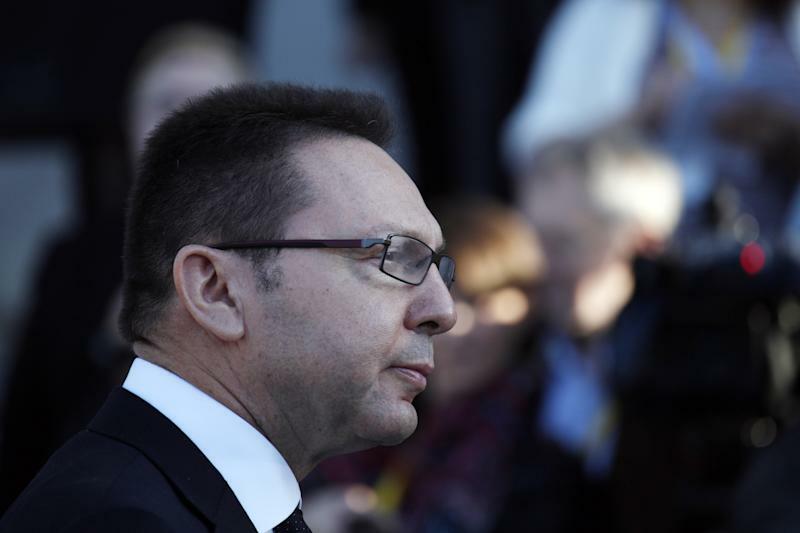 Greece will also post a primary surplus — a budget without taking into account interest payments on outstanding debt — of nearly 2.5 billion euros ($3.4 billion) for 2013, Stournaras said. 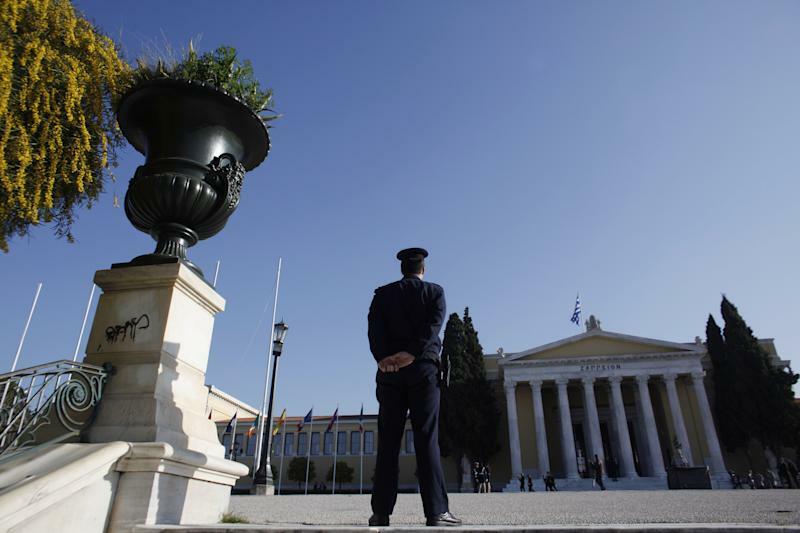 Having a primary surplus is key to Greece's debt relief efforts and its debt sustainability. Earlier, finance ministers from the 18-nation eurozone agreed to release bailout funds for Greece — 8.3 billion euros ($11.4 billion) in three doses. The first batch of 6.3 billion euros will be disbursed in time for a bond repayment in May. Payouts of 1 billion euros each would be made in June and July, linked to the implementation of financial targets Greece has agreed to. The parliaments of some eurozone countries must ratify the payments before they are actually made, but the eurozone's decision is key to the process. The amount does not include the IMF's portion of the installment, which is paid separately. Tuesday's approval of the release of funds comes after the completion of a months-long debt inspection by the IMF, European Central Bank and European Commission. "This has been an arduous process but we have now a positive outcome," said Jeroen Dijsselbloem, the Dutch finance minister who chairs the eurozone meetings. The austerity measures Greece has been forced to make have led to frequent and often violent demonstrations. Authorities banned all protests in much of central Athens for the eurozone meeting and a later meeting of all European Union finance ministers. Nevertheless, some 7,500 anti-austerity demonstrators held three separate protests outside the exclusion zone, and some tried to break through a riot police cordon blocking their way to Parliament. Police dispersed them with tear gas and stun grenades, but no injuries or arrests were reported. Greece has already received more than 200 billion euros in rescue loans out of a total of 240 billion euros it has been promised. The bailout program is due to finish at the end of 2014, although the IMF will continue issuing some loans until 2016. In their Tuesday meeting, eurozone ministers also discussed Portugal, which is due to exit its bailout program in mid-May. They said a review of Portugal's reforms was still ongoing and a decision would be made April 24 on the disbursement of its last loan installment. It is still not clear whether Portugal will need an additional credit once it exits its bailout program. Its economy has improved significantly in recent months, with both the budget deficit and the unemployment rate dropping. Associated Press reporter Derek Gatopoulos in Athens contributed.